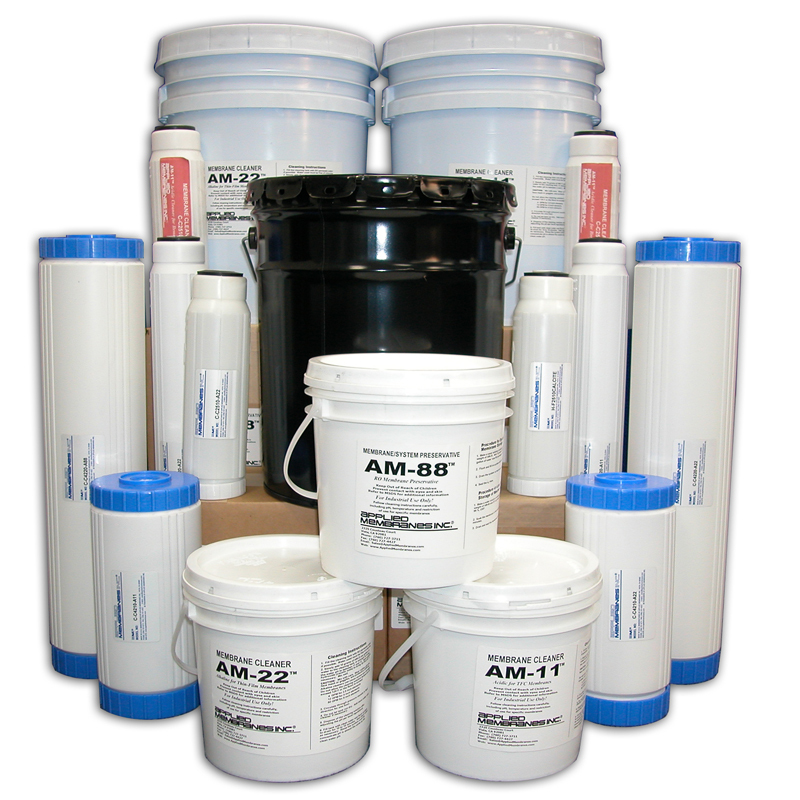 Membrane Preservative, Disinfectant, and Lubricant | Applied Membranes Inc. The interior of a spiral membrane element is dark, moist and therefore an excellent breeding ground for microorganisms. Up to 40% flux loss can occur from biological fouling in elements and modules that have been used, then stored on the shelf or in non-operating units for long periods. To prevent biological growth, it is recommended that systems and membranes are disinfected and preserved during storage, shipping, or system shutdowns. Applied Membranes, Inc. has formulated its own proprietary membrane care chemicals for preserving and disinfecting of membranes without flux or performance loss. These products are a result of over 30 years of hands-on experience of our engineers and chemists. *Items marked with an asterisk are classified as DOT hazardous materials and cannot be shipped by UPS or by air. Can be shipped by ground common carrier or ocean shipment only.